Laura Pedro with Lluís Rivera and Ricard Barriga. Photo: ACC/Lucía Faraig. Our colleague Laura Pedro has won for her work in Superlópez the third Gaudí to the best visual effects of El Ranchito, who already had two statuettes for A Monster Calls and Spy Time. 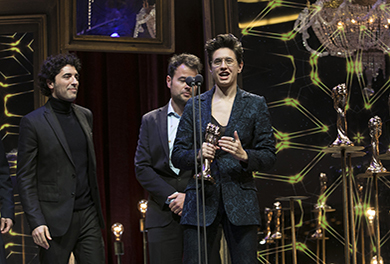 Laura has thus become the first woman supervisor of effects that wins a Gaudí, because the other two women previously awarded in this category of the Acadèmia del Cinema Català are the special effects makeup artists Montse Ribé and Lucía Salanueva. 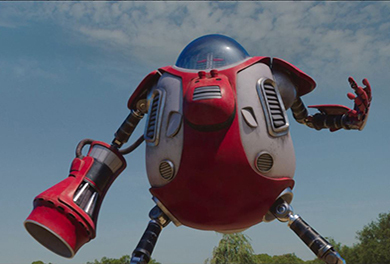 Laura Pedro competed with another effects supervisor from El Ranchito, a veteran like Félix Bergés, also nominated for Gun City, and shares the award with visual effects artists Lluís Rivera and Ricard Barriga. Our colleague recieved the Gaudí Sunday night, January 27th., at a gala held at the Palacio de Congresos de Barcelona and was presented by Mag Lari.